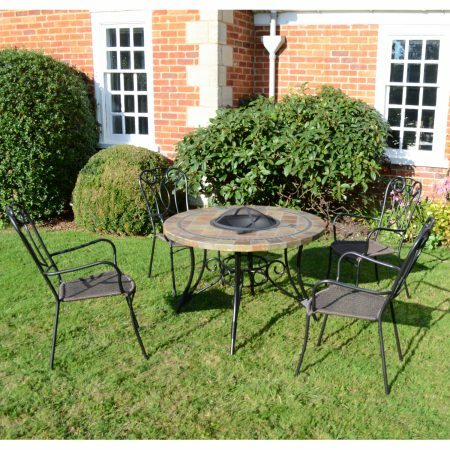 The Clip table at 80 x 80cms. 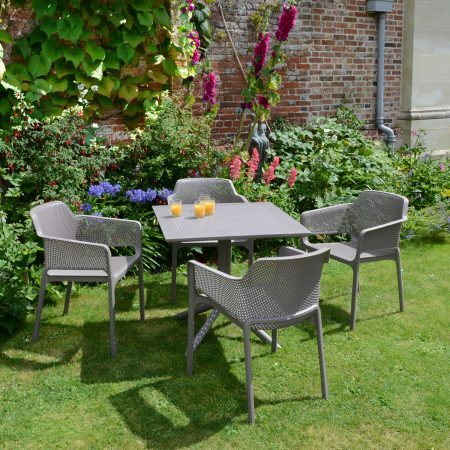 with Darsena multi-position armchairs offers a comfortable dining space for 4 people. 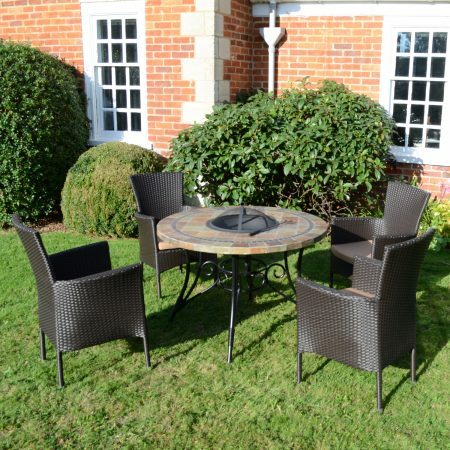 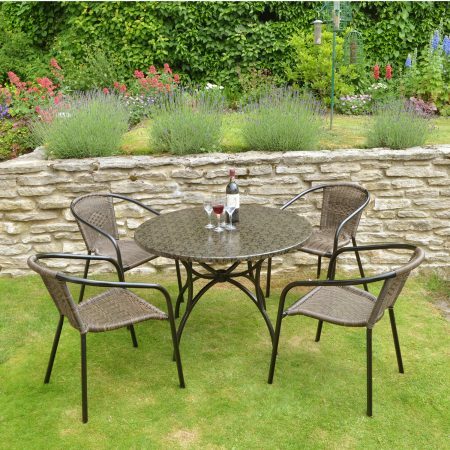 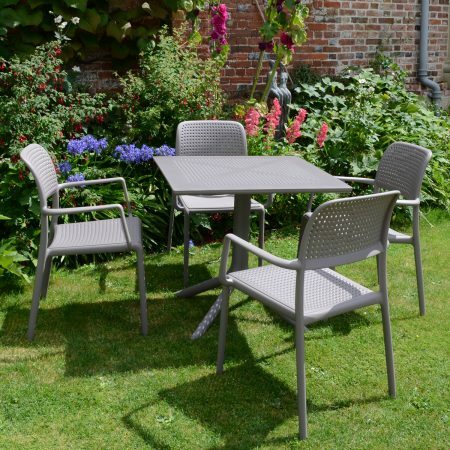 Manufactured from UV stabilised polypropolene combined with glass-fibre, this set has a slightly matt finish, is extremely sturdy, and has anti scratch qualities. 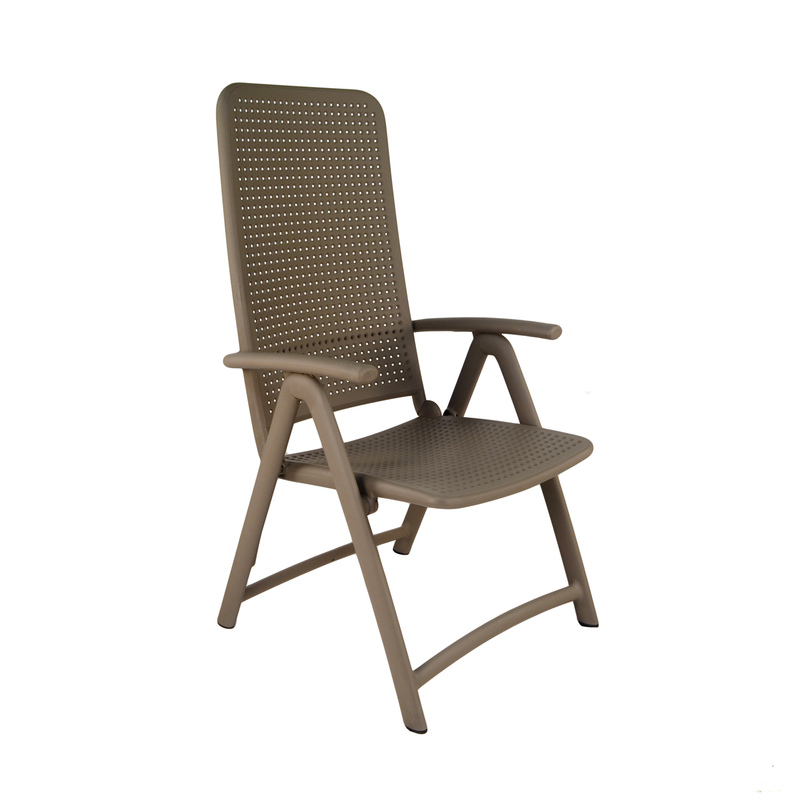 The Darsena high-back reclining armchairs will fold away for convenience, though it is truly an all-weather set anyway. 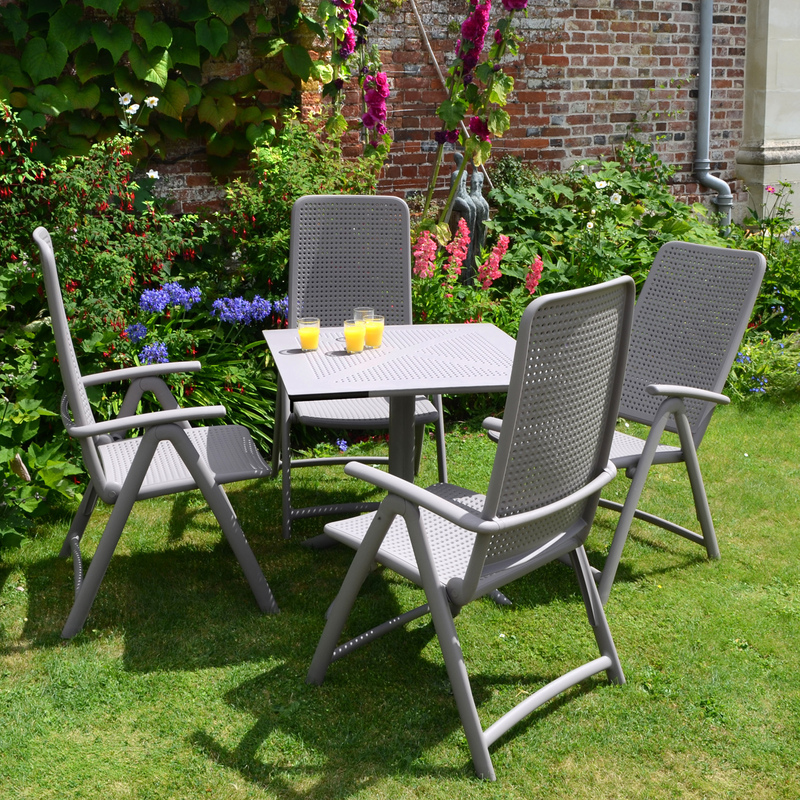 Shown here in dove grey colour.